Golden Clad in raga “De Nu Ka” attributes to the instrumentation in East Asian kind of music that brings out the beauty of glitter like gold. The Classical Carnatic song “Theliyaleru Rama” written by saint Thiagaraja which is played in Flute mellows with the instrumentation to shine the glitter. Bhakthi Marga is the objective to spiritual quotient and the prayer to reach the divine is the theme of the song. An own composition of the Artistes, Con Chord is an unique Symphony of Brass (Base/ Rhythm /Chord Progression), Rhythm Instrumentation with blend of Indian Classical Flute. It is Con Chord in nature, The Chords are spread over and woven into fine music which breaks the traditional usage of same passage of music over and over again, instead different patterns are used to show variety in song and scales. The grand Finale is the highlight that brings out the class of the this purely Western music arranged song. Charming Play is a pleasant Classical song in raga “Srirnajani” which has a Grand Piano solo backed with Strings to begin with, The Flute introduces with the Piano to fusion of Charming play. 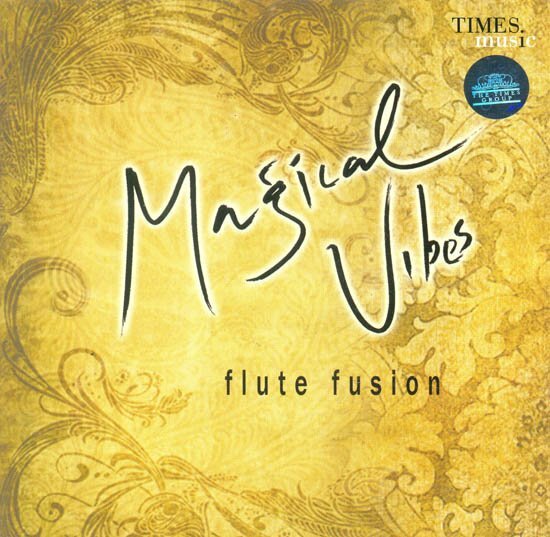 The melodious play of Flute and Rhythm follows. The slow paced song “Sogasuka Mridanga Tala” which is written by Saint Thiagaraja is presented the Flute to suit the mood of the song. The Indian Rhythm Melody that is played in forms of Mridangam and Ghatam is appealing the theme of the charming soft play softly backed by the Grand Piano. Army Braves is a song with a brisk opening in raga “Gambira Nattai”. The raga has a bright and bold scale suited for the passionate. The instruments are in Madhyama scale to portray “Hamsanadham” Raga but the song is purely to scale “Gambira Nattai” as demonstrated by the Flutes. The Flutes ring in Harmony in middle and end of songs when the Flautist has played in 4 Flutes in simultaneous time (Thanks to the advanced song recording Technology) like the hymns to victory. Song “Sri Jalanthara” written by Saint Jaya Chamaraja Wodaiyar. The song has the theme of Magic as essence to this Album, Raga “Madhuvanthi” with soft chord backing and peppy rhythm to accompany the Flute. The deep Base of the Flute (played in two Octaves lower than the normal tone of the flute) melodiously blends with the chords. The song “Nathahare Jagannathahare” is written by Saint Jayadevar is skillfully played in flute with many varieties and improvisations of the verses in deep base Flute.